Musical Musings… That’s The Title Of The Song? Really? "Don't worry 'bout a thing..."
How could anyone do this to me?! 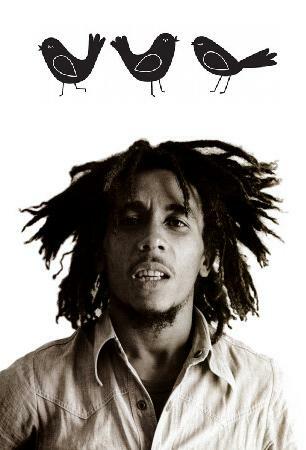 But then I realized Marley does mention three little birds in the song, and all was well with the world. And it’s not like any other musicians have ever given their song a title, and then not repeated the titular line in their lyrics. Staind’s Epiphany should be called Waaaah… Wait, what? Are you sure he didn’t say that in the song? And the kings of not using song titles in their lyrics – Muse! That’s awesome, I’m all over Baba O’Reilly, went with Teenage Wasteland when I imported it into I tunes, and the Refreshments Banditos went in as “That song my dad likes”, without artist, because I spaced on both. So coincidental, this was last week, and thanks! Is it a Coinkydink or a Coinkydonk?